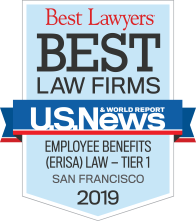 As we previously reported, on May 18, 2015, the Supreme Court issued a unanimous decision in favor of the plan participants in Tibble v. Edison International, 135 S. Ct. 1823 (2015). In October 2014, the Supreme Court granted the plaintiffs’ petition for writ of certiorari to solely address whether ERISA’s six-year statute of limitation bars the plaintiffs’ claim that plan fiduciaries breached their duty of prudence by offering retail class mutual funds, even though identical lower-cost institutional class mutual funds were available, more than six years before the lawsuit was filed. In its unanimous decision, the Supreme Court vacated the Ninth Circuit’s decision and remanded the case back to the Ninth Circuit to determine what the fiduciary duty to monitor plan investments requires within the context of trust law. The Supreme Court explained that under trust law there is a “continuing duty to monitor” separate from the duty to exercise prudence in selecting an investment option and that this duty exists even absent a change in circumstances. The Supreme Court further stated, “so long as the alleged breach of the continuing duty occurred within six years of suit, the claim is timely.” For more information and discussion regarding this case, including the Ninth Circuit’s decision in March 2013, see our March 2013 and July 2015 articles. The Ninth Circuit’s second decision in Tibble provides no plan guidance on the scope of the ERISA fiduciary duty to monitor plan investments but there are several steps that should be taken. Plan fiduciaries should review the plan’s investment policy, lan procedures for evaluating investments. Plan fiduciaries should also regularly review the investment options in their plans to determine whether to include or remove certain funds. This review should include determining which, if any, mutual funds, have revenue sharing, the amount of the revenue sharing, and the costs associated with these funds. Furthermore, plan fiduciaries should document the reasons for all decisions related to investments. 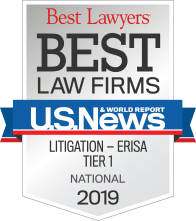 If you have any questions on the Tibble decision or on fiduciary issues under ERISA, please contact us.